Did you ever feel like you just needed a little peace in your life? Some years I’m all about the flash and sizzle of the holidays with a riotous display of color and pattern. But this year, life has been so chaotic, that all I want is peaceful surrounds. 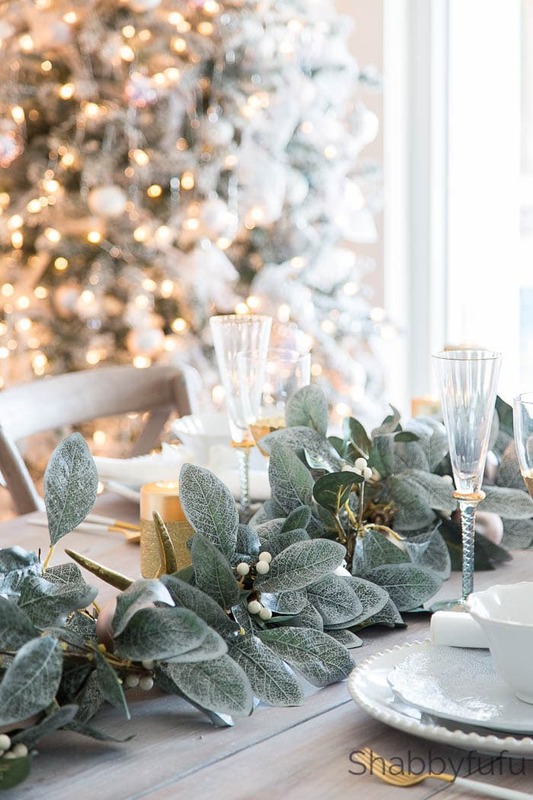 For my Christmas table setting, that translates into the serene purity of winter white, albeit with a festive air augmented by metallic accents. 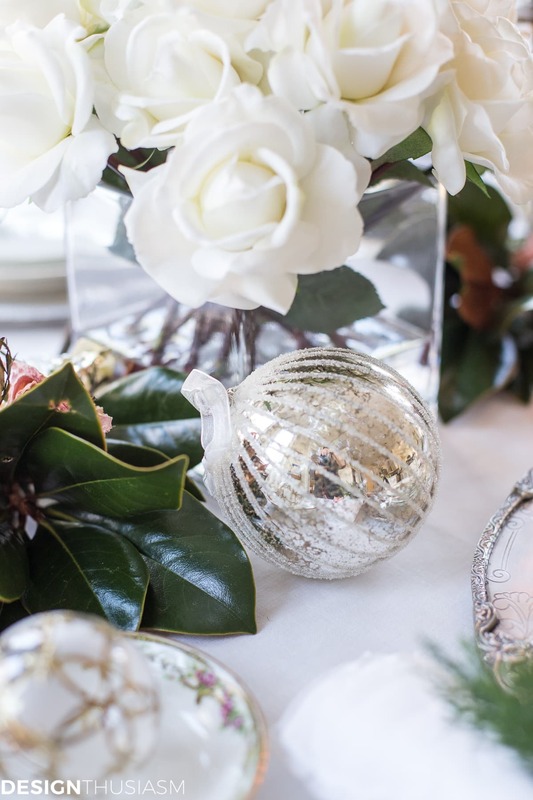 This is the time to pull out you finest, and my table is peppered with vintage and new, and some baubles too! 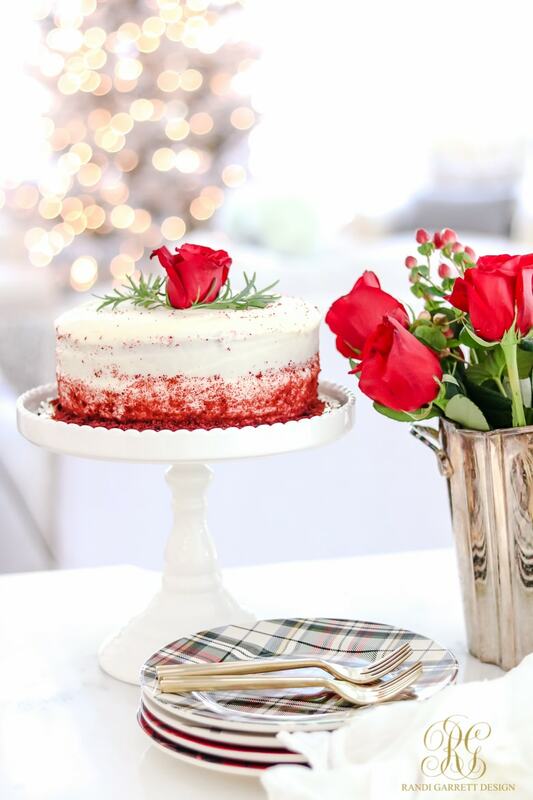 Today I’m joining with several bloggers for the Christmas edition of Styled + Set, the Holiday Entertaining Blog Tour I host several times a year. 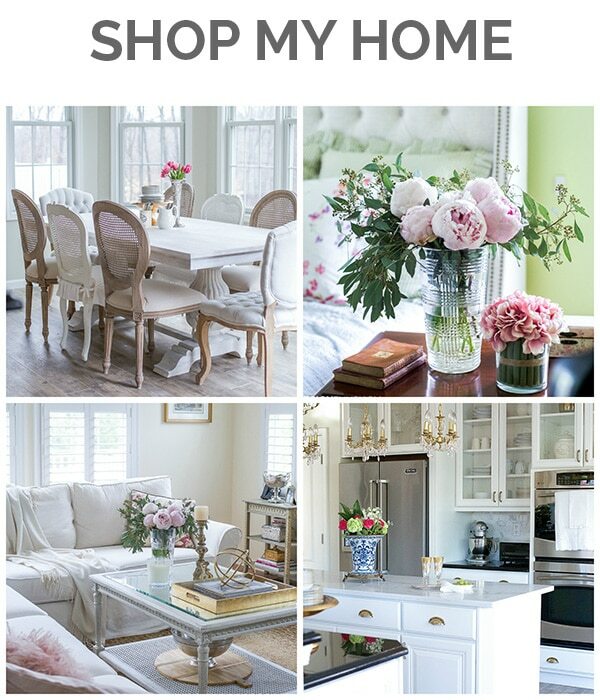 If you’re coming over from Decor Gold Designs, let me welcome you! Jen has such elegant style and I know you’ll have enjoyed her tour. For the rest of the tours please scroll down to the bottom of the post. 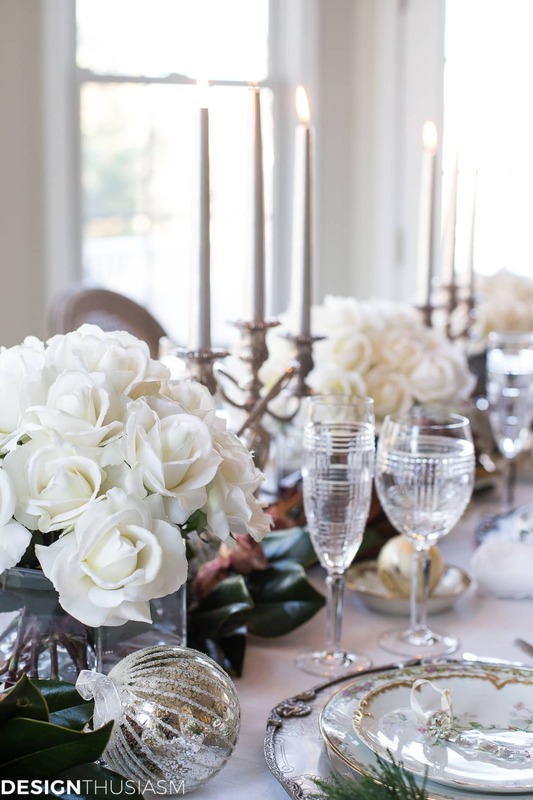 I often start my tables with my plate stack, but for this table, my concept was driven by my pretty white centerpieces. I love to repeat visuals in succession and for this table I used three lovely arrangements of white roses interspersed with candles. The magnolia leaves scattered at their feet enhance their elegant beauty. But these centerpieces just might have a little secret. They’re actually Real Touch Rose Arrangements provided by my sponsor, Flovery, and they are quite amazing! Not only do they look real but when you get up close and touch them, they truly feel like fresh flowers. They’re perfect for the winter when fresh flowers are scarce, or it’s not so easy to go out in bad weather to get them. These deliver straight to your door and will take you through many seasons. 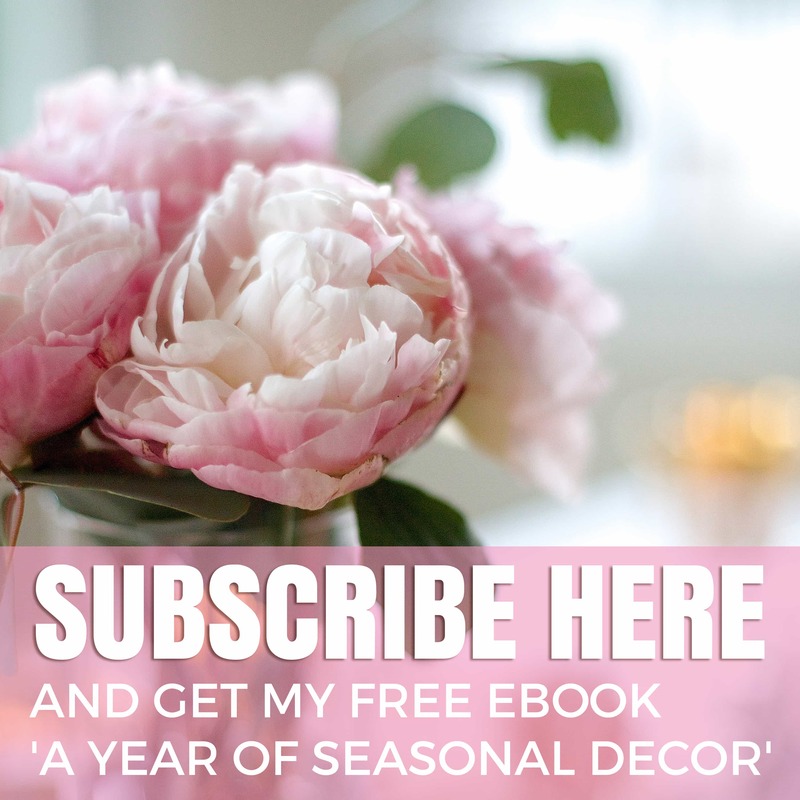 And Flovery has generously offered my readers a coupon for 10% off with no minimum purchase, available until 12/22. Just use the code “TENOFF” at checkout. To balance the grace of my charming florals, I selected vintage French plates for my plate stack. With a gorgeous silver charger as the foundation, I layered delicately patterned Limoges dishes and topped it off with a decorative crystal drop. I used plenty of fresh greens on my Christmas table, including juniper sprigs tucked into my crystal napkin rings. A sweet embroidered napkin with scalloped edges adds a refined note, while French “Joyeux Noel” tags send guests good wishes. A dried rose sits gently nearby. 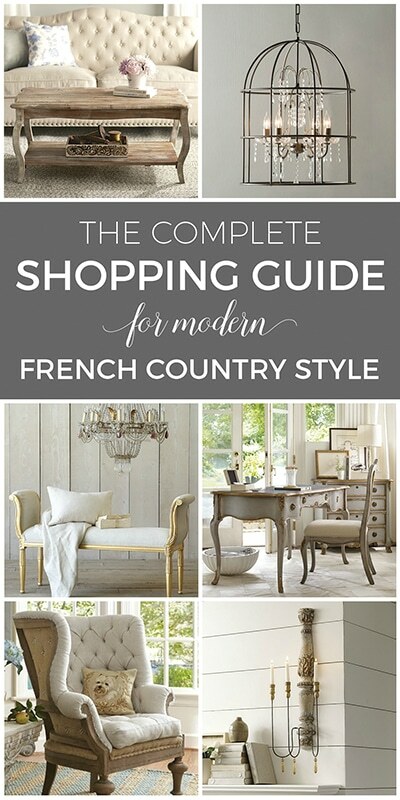 While soft and pure without much color, this table is dominated by a whole lot of shine. 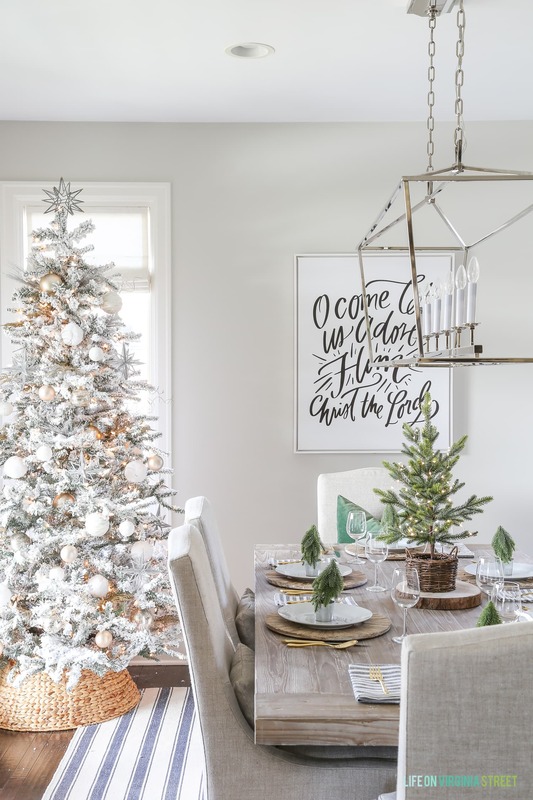 Silver and crystal and glittered baubles are present throughout, honoring the holiday atmosphere, yet keeping the mood calm. Running down the center of the table, I used a fresh greenery “runner” of magnolia leaves. 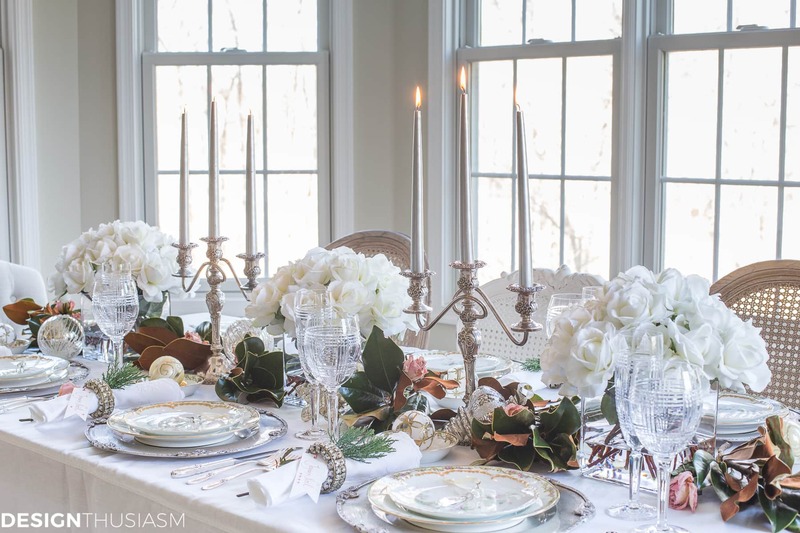 This adds depth to this neutral tablescape and a hint of color, while also supplying an element from nature. 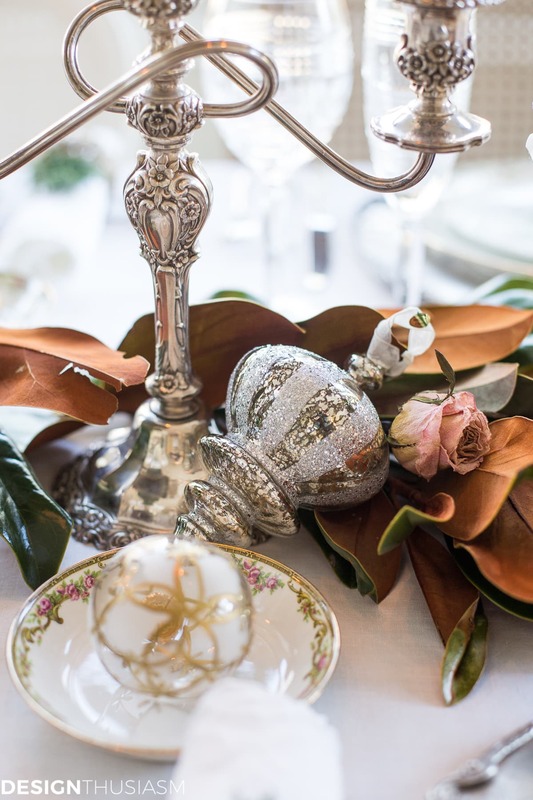 The runner is also peppered with dried roses and scattered holiday ornaments in gold and silver. 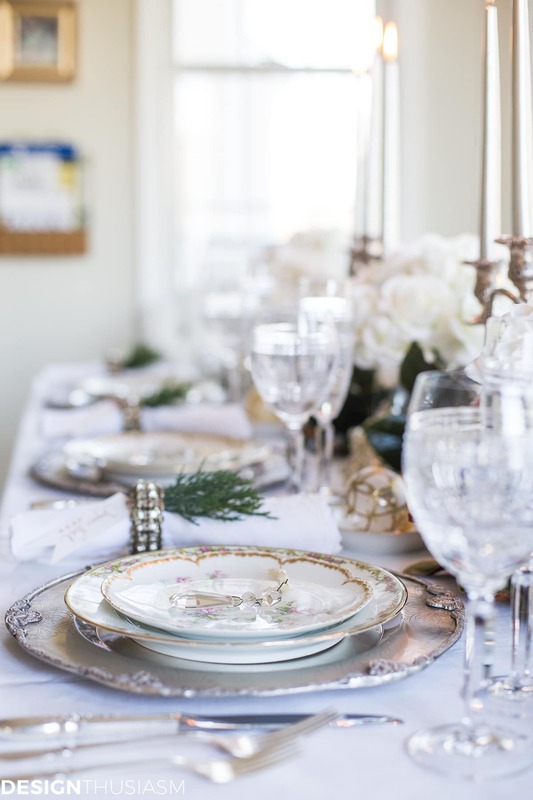 There are a few favorite staples I use in many of my holiday table settings, including a ruffled linen tablecloth, vintage silver flatware and cut crystal goblets. They work with just about any look and are grand enough for holiday entertaining. The silver highlights on this table are repeated throughout, from the decorative ornaments to the silver chargers. 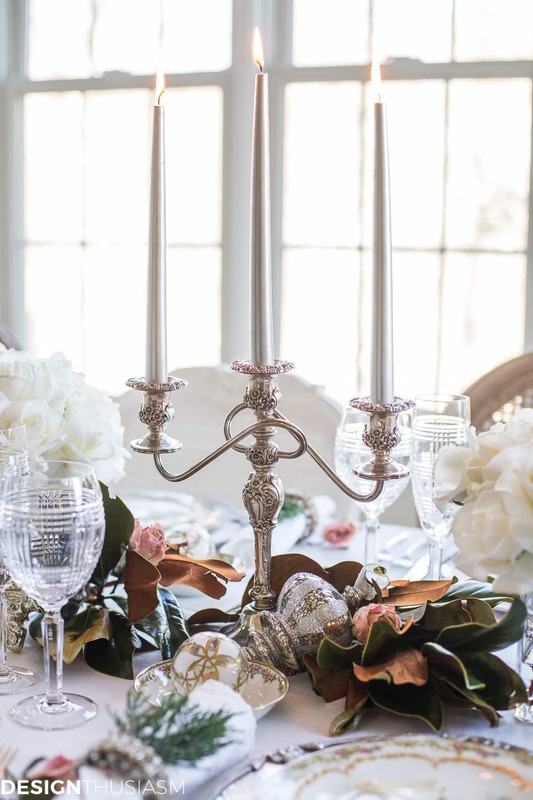 But the one thing I recently added to my collection that’s debuting on this table is a pair of antique silver candelabras adorned with silver tapers. 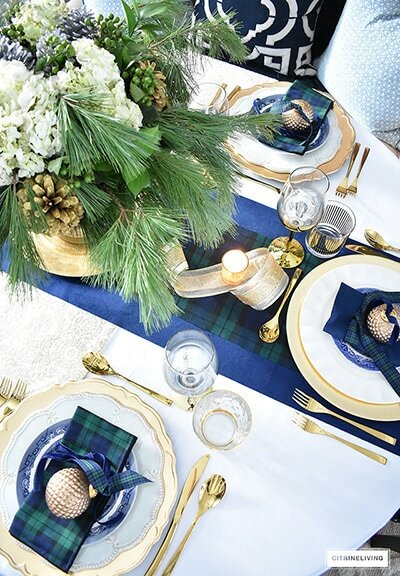 They feel like the crowning touch to my holiday table. 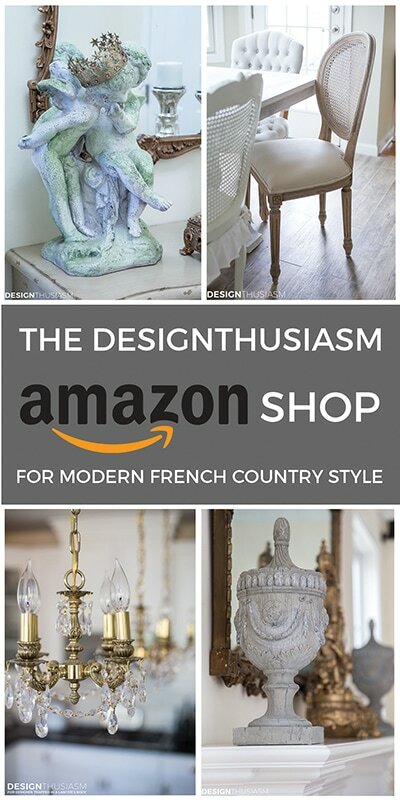 My vintage French empire crystal chandelier presides over the whole scene. 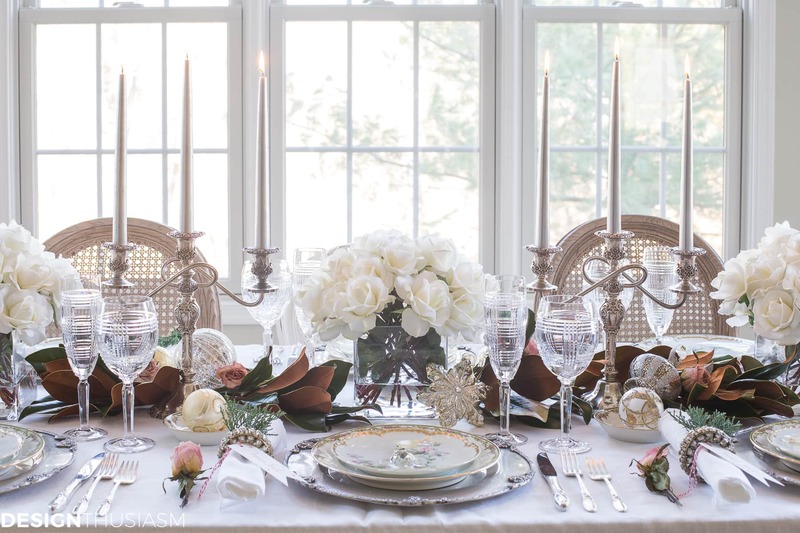 With the light streaming in on this tranquil tableau, I hope I achieved just the right mood for this most peaceful of holiday table settings. 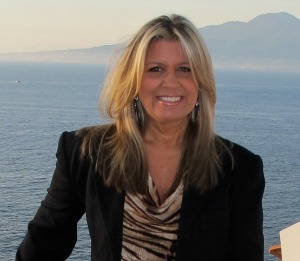 Next up on the tour is my friend Janet from Shabbyfufu, whose wonderful style makes everything beautiful. You can also see the full line up linked below, in case you missed yesterday’s tours and to see what’s upcoming for the week. 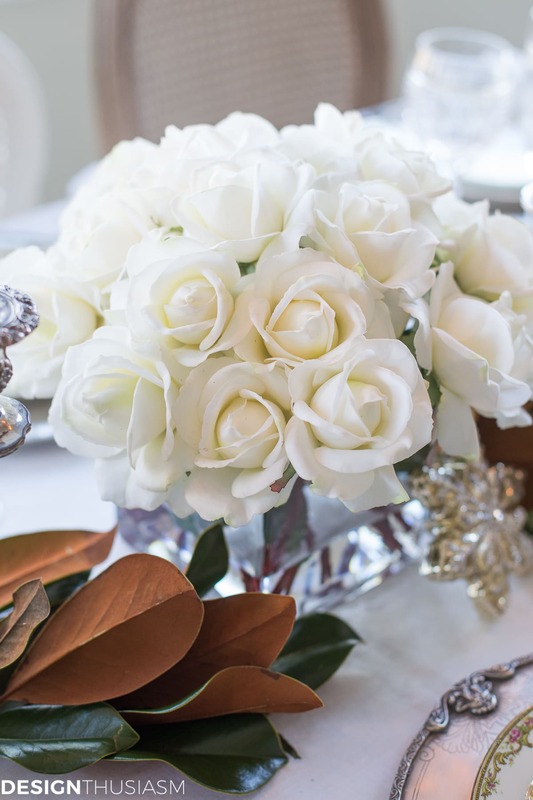 Everything looks beautiful Lory and those white roses are so authentic! Thank you for your lovely words, Norma! No one does a table quite like you. 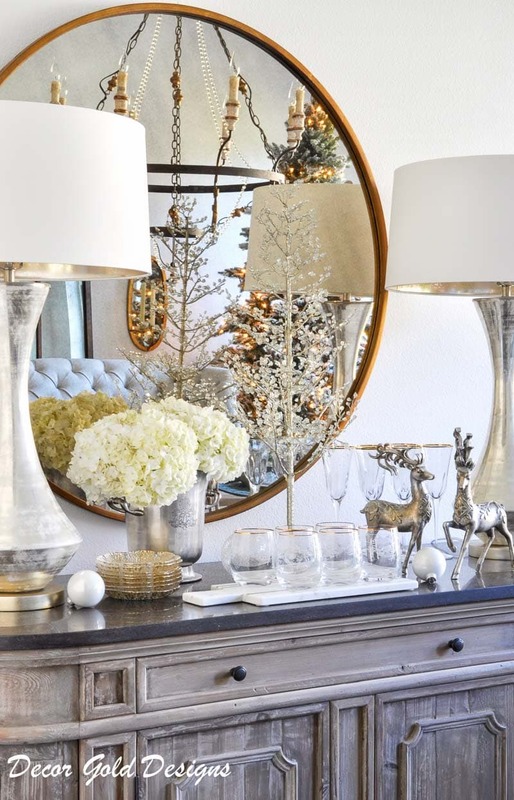 It’s elegant and charming while having a touch of festivity. Lory, your table looks so beautiful, and very peaceful. 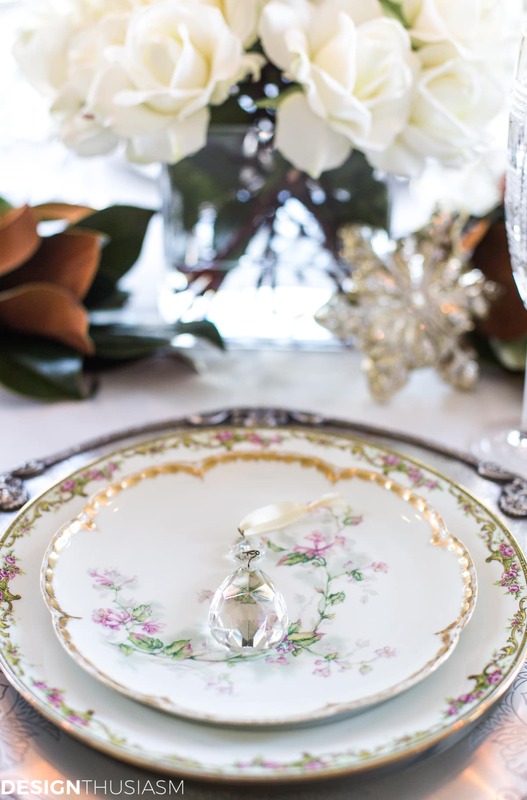 I love the soft French Limoges, the flowers and sprinkling of ornaments. You always inspire! Thank you. Ah, thank you so much sweet Lidy! 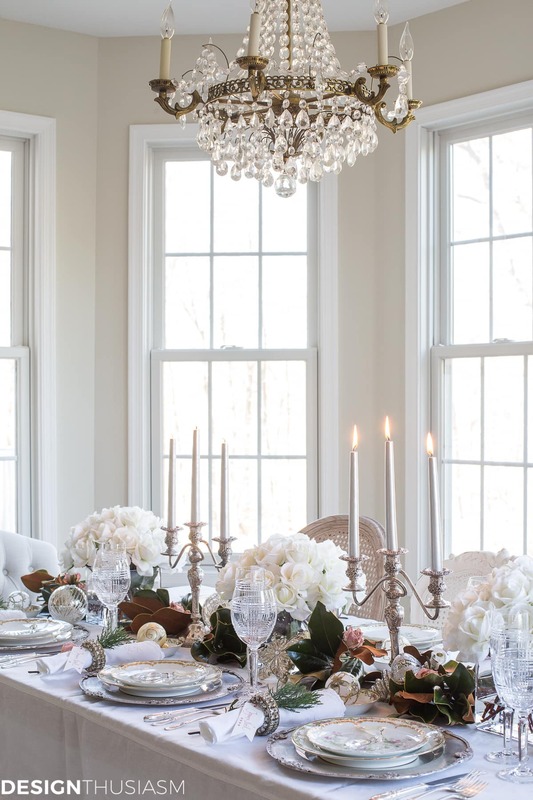 I feel Like I’ve seen emails go by from you that I haven’t had a chance to properly answer, but I loved your teaser and can’t wait to see the rest of your gorgeous table!! Happy Holidays! Thank you so much, Tamara!! I enjoy the tours too because there are so many talented bloggers participating. I keep pinching myself to have been able to get everyone to join in! It’s so hard to believe those flowers aren’t real – they look amazing! And your table is so pretty Lory. 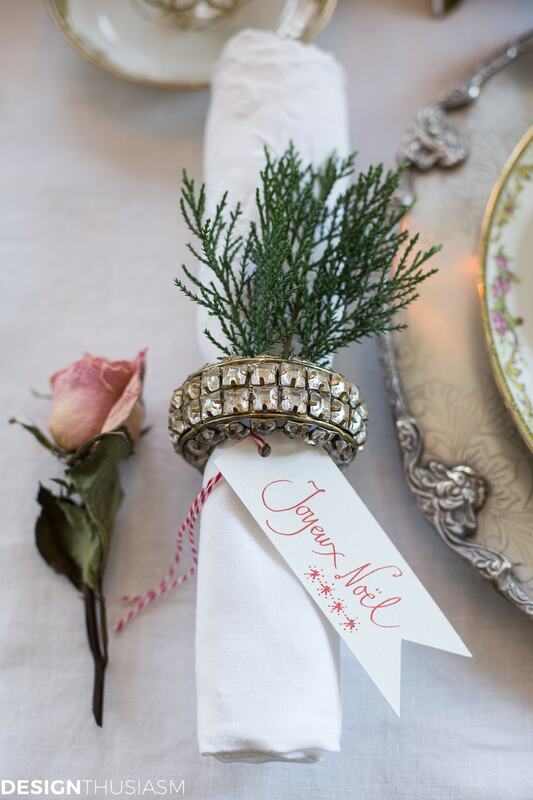 I’m IN LOVE with those napkin rings (pretty sure I need to steal them:)) and the sweet little Joyeux Noel tags! They’re the perfect touch! Thanks again for hosting, and for including me in such a talented group! Happy Holidays to you! Thanks so much, Sheila!! I’ve actually been looking for more of those napkin rings because I only have 8. 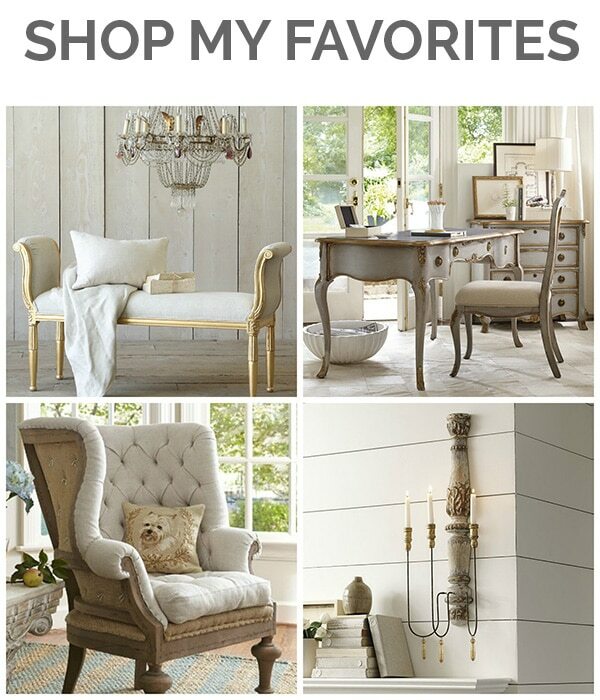 They were originally from Pottery Barn but sometimes you can find them on eBay. So glad to have you on the tour, too!! So elegant! 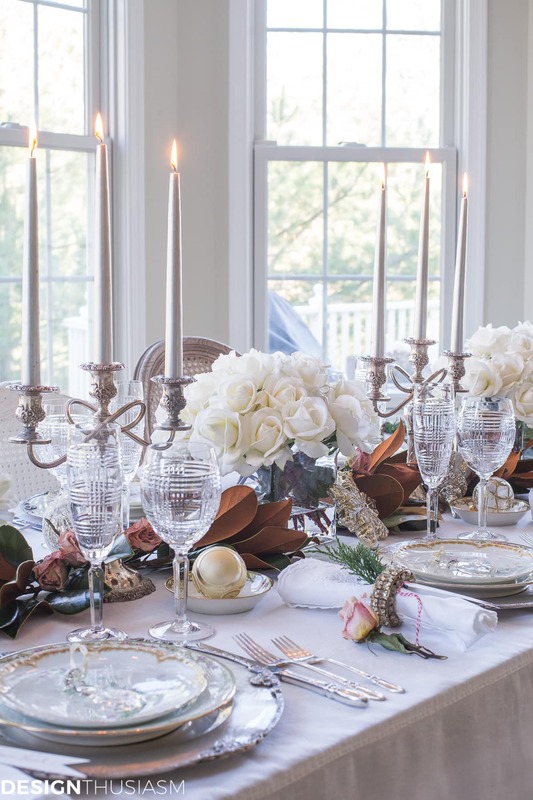 I love the height of the candles and the little accessories scattered throughout! Beautiful beautiful beautiful! I love all the white and green together, Lory. The roses are so soft and pretty and those magnolia leaves are stunning. You always have the prettiest tables!